The Stihl KM90R Combi Tool Power Unit is a powerful robust CombiEngine for demanding and frequent applications. With the patented STIHL 4-MIX engine providing fast acceleration, more power, added torque, lower noise and increased fuel efficiency when compared to a 2-stroke engine. 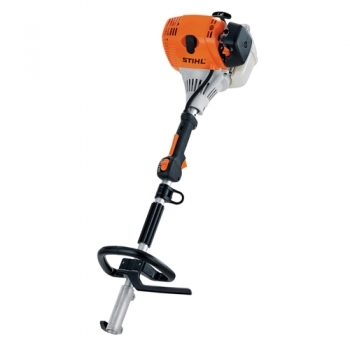 The Stihl KM90R Power Unit comes with loop handle for difficult terrain and confined conditions. Quick release coupling for easy dismantling and changing of tools. Suitable for all Stihl Combi Tools.